Like I said, ebelskivers are imminent this weekend and I really made it happen! First, I made my fillings comprising of lemon curd and a second one which is my favorite combination of Nutella and cream cheese just to have an alternative although a mere dusting of sieved powdered sugar is not bad especially for some who prefers pure ebelskivers. 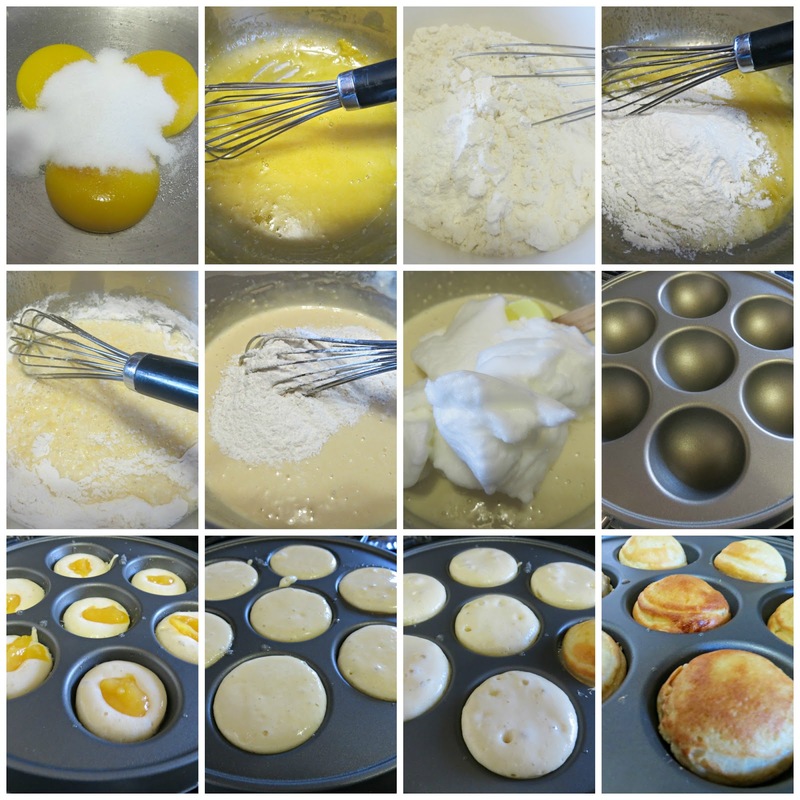 I just love my ebelskiver pan and it was really fun making the little pancake balls. They cook so fast and there are so many flavor combinations I can try and that include savory ones. These balls are reminiscent of the Japanese takoyaki balls so I am most likely to head in that direction next time. Heat ebelskiver pan over medium heat. Brush each cavity with melted butter then scoop batter about half full. Plop a teaspoon of lemon curd (recipe follows) into the center then top with a teaspoon or so of the batter just to seal it. Turn evelskivers after 3-4 minutes using wooden chopsticks or skewers. Cook for another 2-3 minutes or until lightly golden on all sides. Repeat the process to cook the remaining batter. Serve with a dusting of sifted powdered sugar and more lemon curd on the side if preferred. Note: This is my basic pancake recipe which also works for ebelskiver. It's all about separating the eggs- whipping the whites till stiff then folded to the yolk and flour mix. It creates a lot of air which makes the pancakes puffed and airy. Using a vegetable peeler, remove the zest of 3 lemons, being careful to avoid the white pith. Put the zest in a food processor fitted with the steel blade. Add the sugar and pulse until the zest is very finely minced into the sugar. 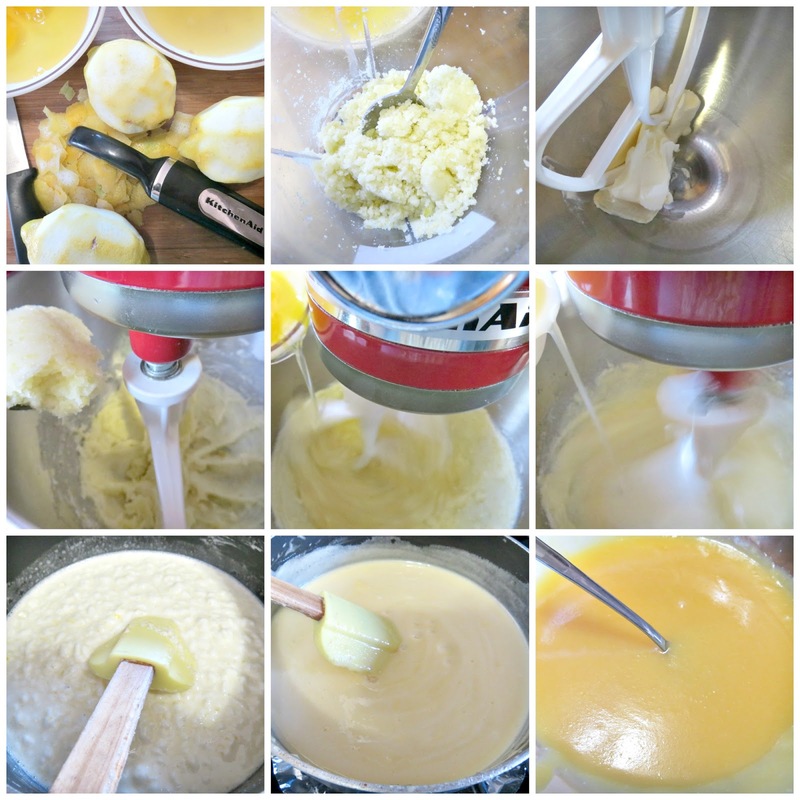 Cream the butter and beat in the sugar and lemon mixture. Add the eggs, 1 at a time, and then add the lemon juice and salt. Mix until combined. Can you tell how light and nice the texture is? Kind of reminds you of a zeppole or a beignet or a donut hole. Any pancake lover will surely love these cuties. Suddenly, I'm fine not making Kamir Cake at all.